A Red Squirrel stands its ground on a branch in Tarrywile Park in Danbury, Conn., Sept. 2016. Here’s a nice shot of a Red Squirrel taken last week in Tarrywile Park in Danbury, Conn. 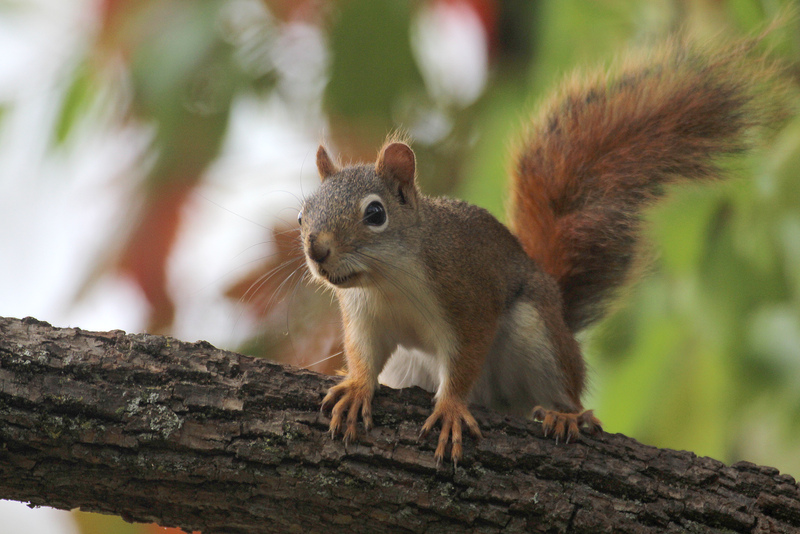 The Gray Squirrel is the dominant squirrel in New England, especially the southern part of the region, but Red Squirrels are common in the area as well. I appreciate my Red Squirrel sightings because I don’t see them very often at my home in southern New England. When I visit northern New England, I see plenty of Red Squirrels and hardly see any Gray Squirrels. Of course, New England is also home to Flying Squirrels (which don’t actually fly, but soar) but I rarely see them, unfortunately. They are a sight not to forget when you do see them. This entry was posted in Uncategorized and tagged red squirrel by Chris Bosak. Bookmark the permalink.